Last week, hundreds of Fair World Project activists took action, urging President Obama to postpone implementation of the Colombia Free Trade Agreement (FTA) signed in October 2011. The Colombia FTA was signed under the conditions that the reforms in the Labor Action Plan be implemented before the FTA takes effect.? The murder of four Union Leaders just this past January is a clear indication that little progress has been made in Colombia and that there remain grave Labor Rights violations. Despite widespread opposition to the Colombia FTA by farmers, unions and consumers, President Obama announced over the weekend that the Colombia FTA will be implemented next month. For a perspective on the impact the Colombia FTA will have on trade unionists in Colombia, read this letter from Teamster John Walsh to Secretary of Labor Hilda Solis. President Obama’s support for the Colombia FTA comes on the? The Trans-Pacific Free Trade Agreement is likely to impact jobs, wages, agriculture, migration, the environment, access to medicine, consumer safety, banking regulations, indigenous rights, Internet freedom, government procurement and more. A pact this far-reaching should be negotiated in the most transparent and participatory manner possible. 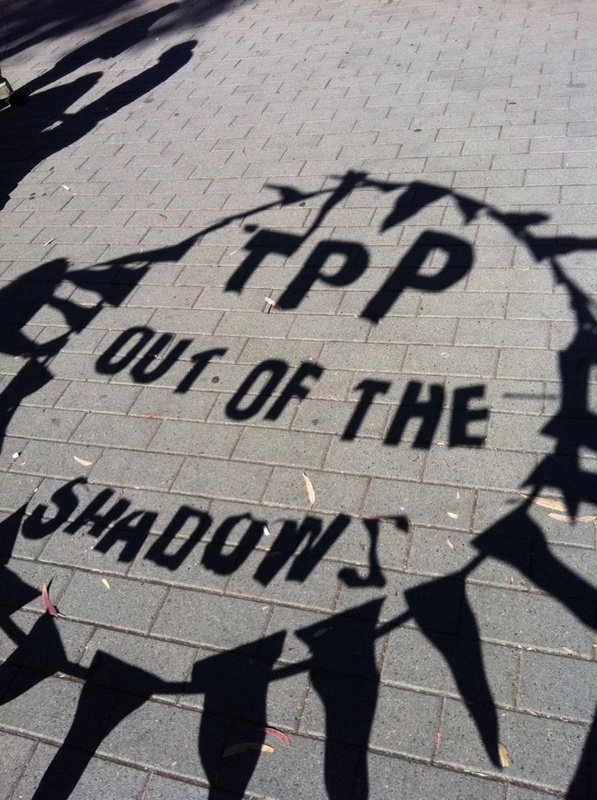 Looking to go further on the Trans-Pacific Free Trade Agreement? Back room trade deals benefit big corporations at the expense of working people. ?We need your help demanding that U.S. officials move the Trans-Pacific Free Trade Agreement negotiations into the light of day. The?Trans-Pacific Free Trade Agreement (sometimes called the Trans-Pacific Partnership or TPP) is a massive new trade deal for the Pacific Rim. ?After eleven major rounds of negotiations, the?United States has reportedly introduced proposals for most, if not all, of an estimated 26 separate chapters for this pact ? proposals that will likely affect?jobs, wages, agriculture, migration, consumer safety, the environment, financial regulations, internet freedom, access to medicine, indigenous rights, public procurement and more in our communities and throughout the world. Despite the far-reaching nature of the Trans-Pacific FTA,?the U.S. Trade Representative has refused to release any of its negotiating proposals for public scrutiny.? ?One corporate trade attorney with decades of experience in international trade negotiations recently gloated that,?“This is the least transparent trade negotiation I have ever seen.” That isn’t right and has to change. What’s even worse, however, is that while you, I and the majority of Americans are barred from knowing what’s taking place in the Trans-Pacific FTA negotiations,?approximately 600 corporate lobbyists have been named “cleared advisors,” giving them regular access to the negotiating documents and negotiators. This type of back-room deal making is unacceptable in a democracy, and it is even outside of the norm for international trade negotiations. ?Even the World Trade Organization (WTO) publishes its draft negotiating proposals online for public review and comment. Please sign our online petition urging U.S. Trade Representative Ron Kirk to publicly release the negotiating proposals for the Trans-Pacific FTA. You can take further action by downloading?a PDF of the petition and circulating it among your friends, co-workers and colleagues. ?The petitions will be delivered to U.S. trade negotiators prior to the start of the next negotiating round, widely rumored to take place in the United States in May. You deserve the right to know what U.S. trade negotiators are negotiating in your name. ?Please take action now.